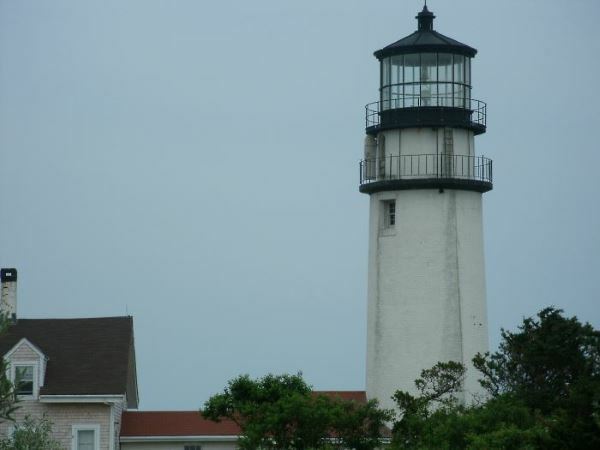 Question: What are the most popular things to see and do while in Cape Cod? Dee's Reply: Hi Karen - This is a challenging question to answer, simply because there's sooooo much to see and do here, and everyone's definition of "fun" is a little different. So, let me tell you what I consider the top activities and attractions on Cape Cod. Then I'll open this post up for others to add their favorites to my list. When you're surrounded by saltwater as the Cape is, beaches are certainly a prime attraction. The thing that sets Cape Cod apart from many other popular beach vacation destinations is the sheer number and variety of beaches that line our coast. We have beaches that are great for everything from surfing and boogie boarding (Atlantic Ocean), to beachcombing and flats fishing (Cape Cod Bay), to kayaking and warm-water swims (Nantucket Sound, Vineyard Sound and Buzzards Bay). Check out the Cape Cod Beaches section of my site for tons of details about the various bodies of water, the beaches in each town, beach parking fees, etc. Some of the best whale watching on the entire eastern seaboard happens just a short distance off Cape Cod's coastline. So taking a whale watch cruise is at the top of many folks' list of "must-do"vacation activities. Excursion boats travel to the whale grounds every day (weather conditions permitting, of course,) from April to October. Here's where you can read more about whale watching cruises. BTW: If you have binoculars, be sure to bring them with you when you go to the National Seashore. On occasion, you'll see whales in the distance offshore. Bicycling is a hugely popular activity here, all year round. Nearly everywhere you go on Cape Cod, you'll see people of all ages riding their bikes to the beach, to the ice cream stand, or just taking a leisurely family pedal around the neighborhood. For sightseeing on two wheels (or three wheels, if you count the little kids on tricycles ;-), an extensive system of bikeways covers more than 50 miles from one end of Cape Cod to the other. Some very ambitious cyclists tackle 20 miles or more in one day's ride. The rest of us usually cover a much shorter distance, with stops along the way for lunch, a swim, and great views of cranberry bogs, salt marshes and nature preserves. Visitors from around the world have told me that touring a lighthouse was one of the highlights of their Cape Cod vacation. That comes as no surprise to me! As beautiful as these imposing towers are from a distance, it's something extra-special when you have the chance to go inside a 100+ year-old lighthouse and seeing its inner workings up close and personal. Today, the working lighthouses are are entirely automated. But, as you're climbing the stairs to the lantern room, it's easy to imagine way back in time, when the beacons were lit by oil and "light keepers" risked life and limb, in all kinds of crazy weather, to keep the oil or kerosene-fueled lamps lit. It's a pretty powerful experience - and a breathtaking view! Click here to see where and when the lighthouses are open to the public for tours. The water sports scene on Cape Cod offers pretty much every kind of on-the-water fun you can imagine. When it comes to really unique on-the-water experiences, I've recently learned of a different kind of fishing charter. It's a "combo" charter where you can fish and learn how to catch lobsters. At the end of the trip, each passenger gets a free, fresh-caught lobster to take home for dinner. What a great adventure! My hubby and I are planning to take our nephew on this charter when he comes to visit this summer. I'll report back afterward ... with photos. 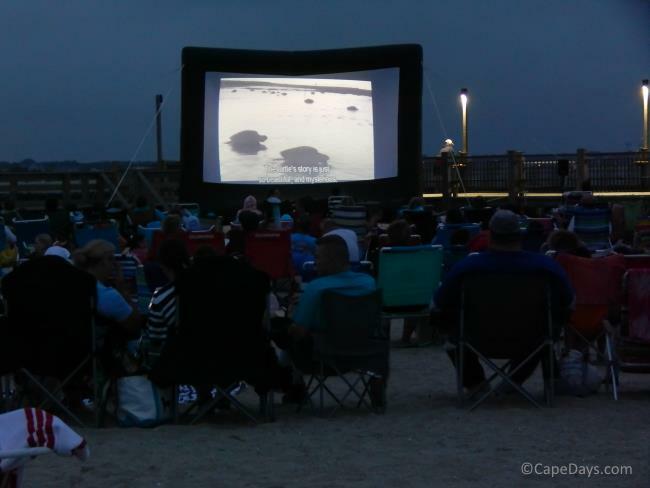 If there's one thing Cape Codders excel at, it's celebrating! All year round, we have fairs and festivals to celebrate everything from the first daffodils of spring, to our world-renowned oysters and scallops, to the harvest of Cape Cod cranberries (the best-tasting cranberries in the universe, IMHO ;-). There's also the big 10-day Barnstable County Fair in mid-July, and lots of parades, barbecues, and fireworks displays during Independence Day week. Have a look at my month-by-month calendar of fairs, festivals, and special events to see what's going on. 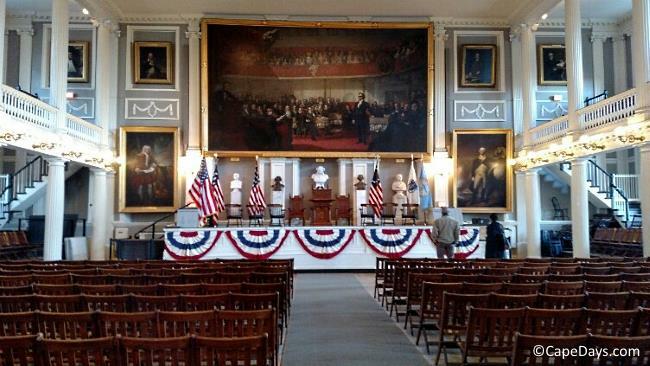 In addition to all I've mentioned above, you'll find many more great activities and attractions here as well as in my pages about each Cape Cod town. If you have any other questions, please feel free to ask! P.S. As promised above, this post is open for everyone to share their favorite places to visit and things to do on Cape Cod. Just click on the "post comments" link below to add your faves to the list! Return to Cape Cod Activity Questions.